Take It Home. Fry It Up. I love when guests from our Experience Sicily tours take Sicily home with them and extend their trips with reading more about the culture, listening to the music, watching classic films set on the island, and cooking the cuisine for months after they return. That’s what we set out to do! Tonight I had the great pleasure of cooking panelle with Norman and Guy who came with us in September. 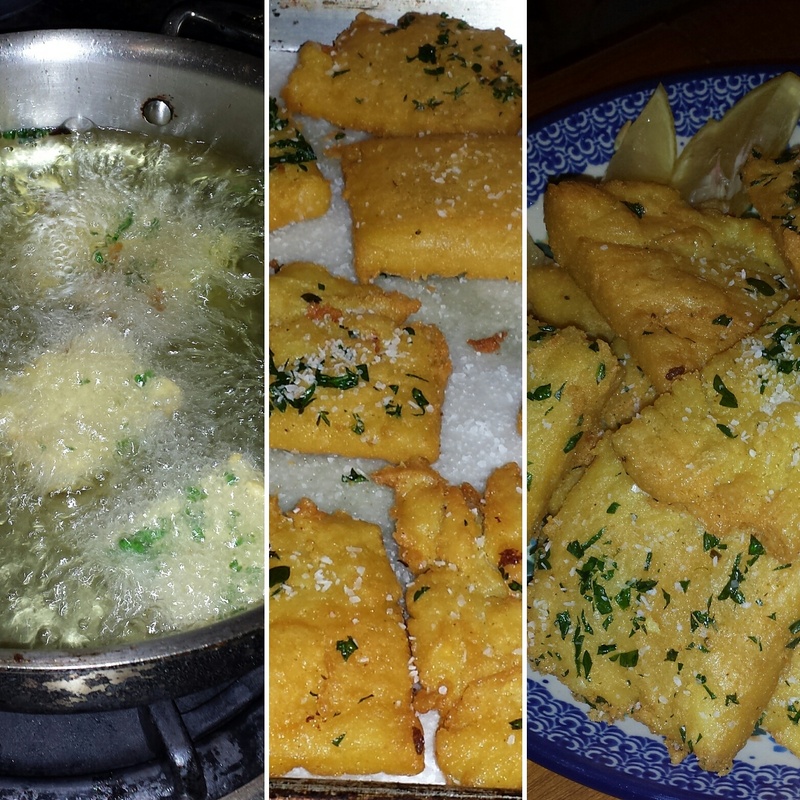 Panelle are chickpea-flour fritters made with fresh parsley, lemon juice, salt, and olive oil. They are particular to the Palermo region and are eaten as finger food or inside a bun for a panino. Norman has become a master panelle maker! Sounds yummy! Have fun cooking the panelles. And they’re gluten-free – yay! Panelle looks really good and easy to make. I think I will make them during the snowstorm this weekend. Great finger foods. The trick with panelle is the stir continuously until the flour mixture is firm (like polenta) and then once you spread it on to the pan, let it sit for 20 minutes… But no more. Eat it hot from the fryer (Once it’s cool enough to eat.) It’s not good cold.